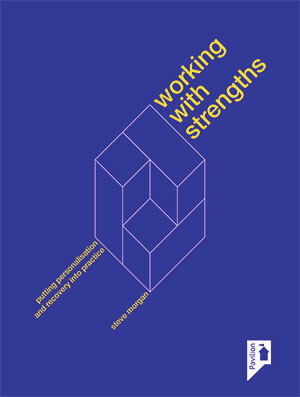 ‘Working with Strengths’ was published in May 2014 as a comprehensive resource for reviewing the literature and reflecting on strengths-based practice as applied to people in contact with services, as well as the strengths-focused development of practitioners, teams and organisations. It draws on the wider business literature as well as health and social care references to broaden the applicability of the ideas. “Radical in the sense of challenging the status quo. I love the notion of “funky” mental health services where we first break all the rules – not in a spirit of anarchy so much as in recognition of the fact that so many of our current assumptions simply don’t serve. We need more sacred fools who will run into the royal court and fart in front of the King or Queen in order to shake things up and reveal new and better ways.